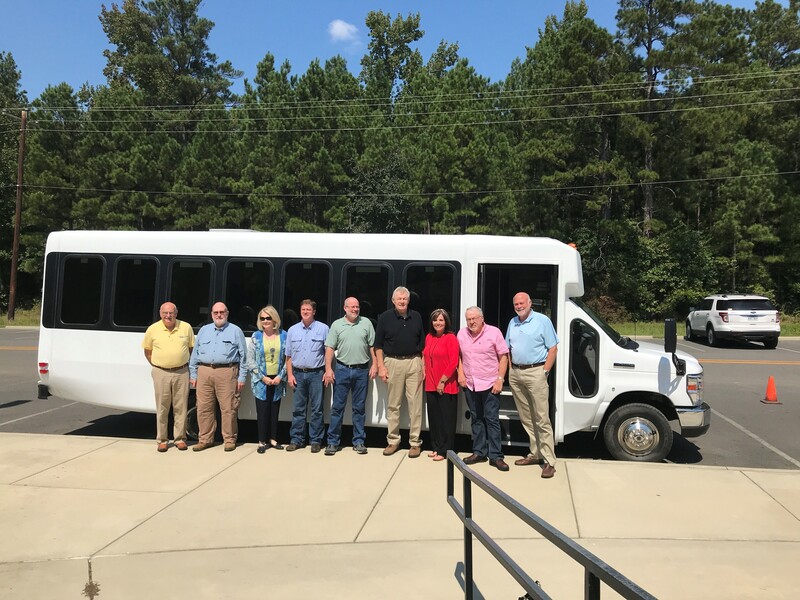 SAU Tech Foundation Board Members pictured above: Jim Golden, David Reynolds, Barbara Finley, John Dawson, III, Ted Barnes, Gene Hill, Deloris Kitchens, Troy Alphin, and Paul Lindsey. Not pictured- Randy Graham, Mark Cayce, Tessa Wilson, Linda Gaston, Krissy Bassetti, and Phil Foster. The SAU Tech Foundation members pose in front of the new bus purchased by SAU Tech with the support of the Foundation. The Board provided $25,000 toward the cost of the new bus which will be used for student athletics and to transport students to various events. The SAU Tech Foundation is a not-for-profit organization that raises funds and friends for SAU Tech. The Foundation is currently working on raising support for the College’s Tech Scholars and Rocket Athletic programs. For more information call, 870-574-4533.